In partnership with Stark County Hunger Task Force, the Akron-Canton Regional Foodbank will offer a new, free food distribution available to all eligible Stark County residents the second Tuesday of every month. The first Direct Distribution will be held on April 9, 10am-12pm at New Life Tabernacle Church, located at 3542 12th St. NW in Massillon. Any Stark County resident in need of food assistance can attend the distribution and will receive a 5-7-day supply of groceries. To receive food, residents should bring a photo i.d. with them. A Direct Distribution allows the Foodbank to transport and distribute a significant volume of nourishing, surplus food directly to hunger-relief programs within its network. The distributions can quickly place fresh produce, often the surplus products of Ohio farmers which may otherwise go to waste, into the hands of food-insecure families. As many as 16,000 pounds of food can be distributed in approximately two hours during a Direct Distribution. The Foodbank, using funds raised in the Harvest for Hunger Campaign, will absorb all program costs, so the food comes at no charge to the hosting hunger-relief program or to the clients receiving food. 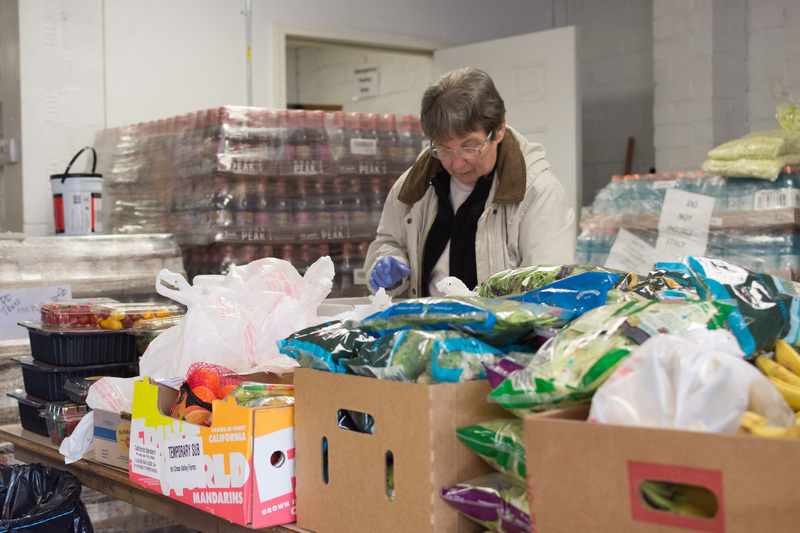 In addition to the new Direct Distribution in Massillon, the Foodbank also offers a distribution at Canton Calvary Mission, located at 1345 Gibbs Ave. NE in Canton. The distribution is held the first Monday of every month from 2pm-4pm and is open to the public. This distribution has experienced 25 percent growth since 2015 and anticipates further growth as it seeks to fill gaps in underserved areas. Both Canton and Massillon distributions are made possible through generous funding from Huntington Bank and Stark Community Foundation, including The Parke K. and Josephine B. Allensworth Memorial Fund, The William J. Lemmon Charitable Fund and The James K. and Carol Luntz Charitable Fund. The Foodbank has played a significant role in Stark County, helping residents struggling with hunger, since 1992. Currently, the Foodbank partners with 108 hunger-relief programs within the county.